The new year begins with a look at the impact herbicide damage in 2017 has already had on the Missouri Soybean Merchandising Council soybean research program. 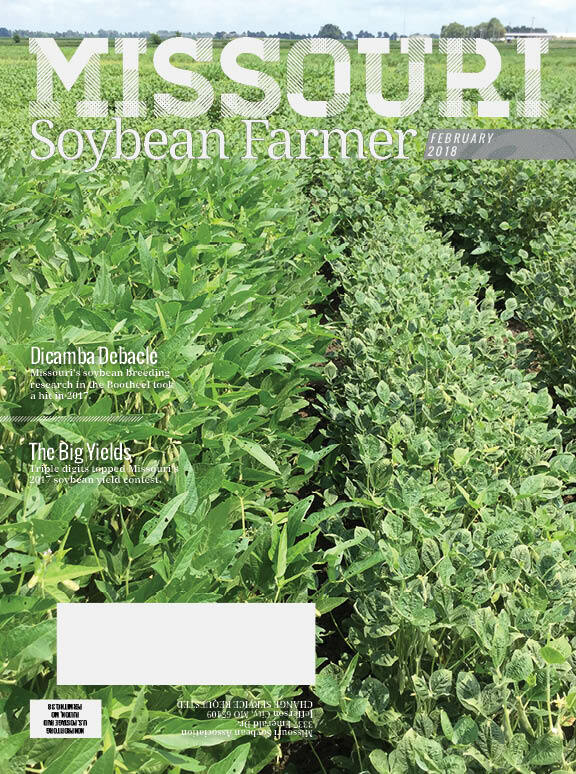 This issue also includes an outlook on the state legislative session, and features on the Hurst family and irrigation in Missouri’s Bootheel. Check out the full, mobile friendly issue online by clicking here. Rather have the magazine as a PDF? Click here for a downloadable PDF.